Fred Karno (1866-1941) was a British theatre and film impresario who worked with Charlie Chaplin and Stan Laurel in the early stages of their careers. 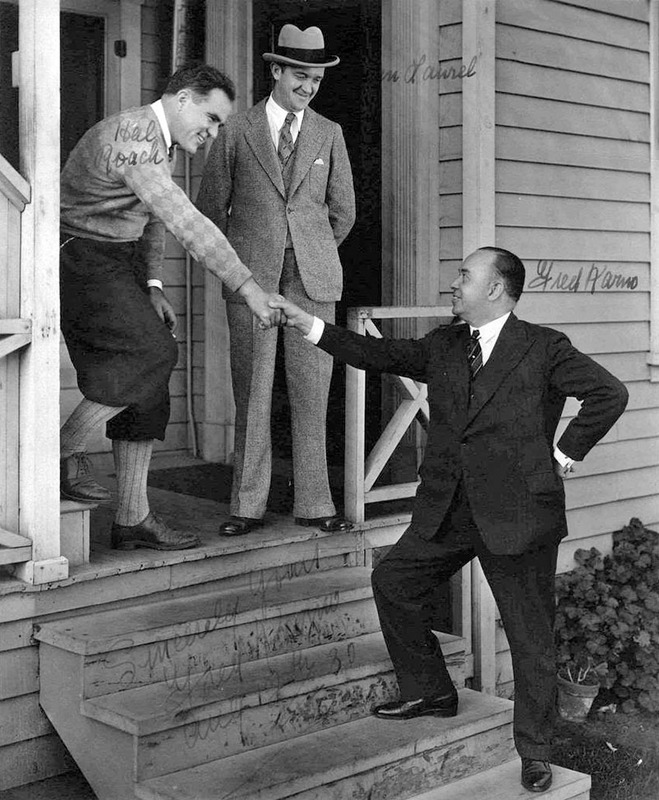 This vintage photo (signed and inscribed by Karno) shows him shaking the hand of Hal Roach (1892-1992), clad in golfing attire. Alongside him on the porch stands Stan Laurel wearing a suit and hat.